Progression Obsession: Is it Really That Simple?! "And all you've done is EAT? It just seems so impossible to me right now, that all that could be waiting for me if I just allow myself the freedom of recovery. But i feel, like you felt before... that body acceptance isn't something that I will ever get to. Is it really as simple as eat more and don't exercise. Like really?!?! Because I keep thinking there must be some secret that I don't know about. haha...."
The short answer to this comment is NO. Recovery is not that simple. 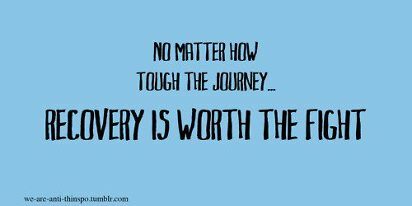 There is so much more to it than eating and not exercising, but those two things are huge components of recovery. Without weight restoration (or simply regulating eating patterns, depending on the individual struggles) through nutrition therapy, it is impossible to deal with the underlying issues involved. Once the physical symptoms are under control (e.g. binging, purging, restricting), the chemistry in the brain actually does change, allowing the next phases of recovery to begin. "Change is always hard, even when you know it's something you really want to do. No matter how long you've been struggling with your eating disorder, it's become what you know, it's familiar, it's second nature, and, above all, it's provided you with a false sense of safety. However negative your behaviors might have been, they were providing you with something you needed. The behaviors felt like floaties because they and their outcomes were predictable, even though they were dragging you down." Recovery often feels like a never ending series of small changes. As the quote suggests, the eating disorder is absolutely a false sense of safety and learning to let go of that can feel like the worst possible thing in the world. 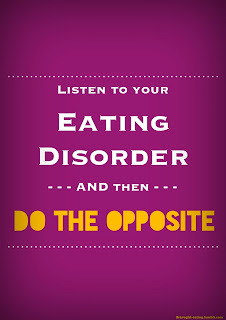 For a lot of us struggling with eating disorders, that feeling of predictability and control hold us back from change. Immediately after reading Clemmy's comment, I became worried that my blog leaves my readers a false impression that recovery is as simple as eating more and not exercising. Please know that is not the case at all. I choose to write about as many positive events as I can as a way to keep myself moving forward. 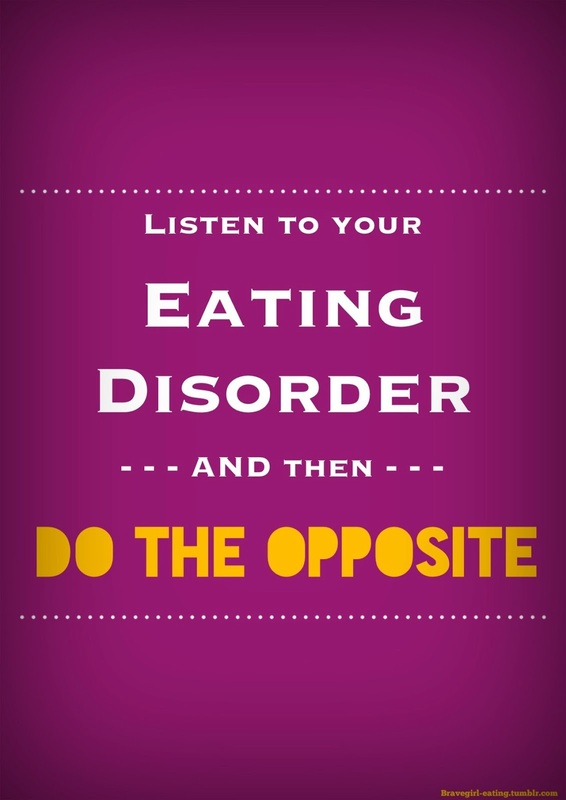 The negative eating disorder voice in your head will be arguing with your healthy voice about which way to go, and in the beginning your eating disorder voice will be really loud, while your healthy voice may be no louder than a whisper. You may encounter any number of those small choices in the course of a given day. Constantly engaging in that kind of battle is exhausting. I wouldn't blame you for giving up. Back to Clemmy's question - There is not a secret that all of you are missing out on, recovery is just a really difficult process. There is no shame in struggling. Also keep in mind that not everyone's path to recovery is the same and by comparing yourself to others, it only creates setbacks. The good news is, however, recovery really is worth it. Today I feel stronger than ever because I have endured the uncomfortable situations involved in change and I am confident that all of you have the power within to change as well. you have taken my words and made them fly. I am reflecting my thoughts on your post, which I need to do today. 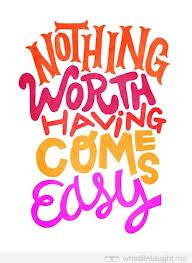 so true, it is a big struggle to recover from an E.D. I'm in my 4th month and my emotions r all over the place. I hate the inches I have put on way more than the # on the scale. To me I look disgustingly fat. My chi chis r bigger than they ever have been in my whole life even more than when I weighed 145. I truely miss being flat. At the weight I'm at I remember very clearly being extremely smaller than this, almost flat. I didn't even need to wear a bra. I was very happy at this weight then. I wish my weight had not dropped lower. but it did w/o even trying when I became disabled. I'm embarassed to go out in public. I'm mainly homebound except for Dr. appointments. I can't exercise enuf do to excruciating pain. But I don't want to relapse cuz I don't want to start all over again.